How to Find a Reputable Hail Dent Removal Service Provider in Colorado Springs? It’s about that time of year again: Soon, the rain and hail will appear in and around Colorado Springs. The real news there is the hail, of course. Most years, hail wreaks havoc on rooftops and vehicles. Hail can take a severe toll on the exterior of automobiles. Thus, costing owners a massive lump of money for repair. The surge in dented vehicle incidents caused by hail storms has paved the way for several car repair shops. This leads to develop groundbreaking technologies that will restore the original factory condition of vehicles. 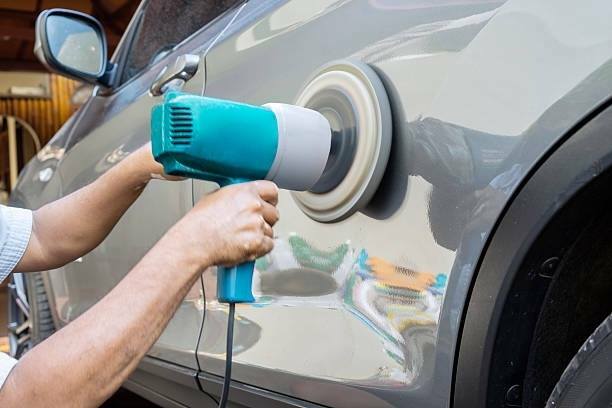 Vehicle owners seek a reputable Hail Dent Removal service provider in Colorado Springs that will effectively remove unwanted dings and dents while maintaining the resale value of their vehicle. Colorado gets a lot of hail storms due to the collision of cold air from Canada and warm air from the Gulf of Mexico. A hail storm is a natural phenomenon that forms during thunderstorms when updrafts, rising currents of air, carry raindrops into the atmosphere where they freeze. The hailstones then become so heavy that the updrafts can no longer lift them, and it falls back to the Earth. The size of the hailstones may range from pea-sized to the size of a cricket-ball depending on the strength and scope of the updrafts. A vehicle that has endured a hail storm can have exterior damage that negatively impacts its resale value and appearance. Hail damage to cars often includes shattered windows and dented hoods and roofs. It’s no wonder that hail dent removal has become such an in-demand business for vehicle owners on the Front Range. Restoration of a hail damaged vehicle can be an expensive hassle. Because restoration could be expensive and stressful, a comprehensive insurance policy is a great idea. It can save you money and connect you with a reputable Hail Dent Removal service provider. No one wants to see their vehicles full of exterior dings and dents, so it’s important to find a dent removal service that’s affordable and reputable. Why Choose Tip Top Auto Hail for Dent Removal Services? Significant hail damage can mean expensive removal. Fortunately, the advancement of technology allows for affordable hail dent removal. Minor door dings or creases can lead to further damage in the long run. With the assistance of experienced car specialists, you can be sure to get the quality services that you deserve without putting the value and condition of your vehicle on the line. Expect exceptional service from expert technicians. Our technicians receive top notch training that ensures quality assistance and maintenance. Moreover, our years of expertise in the industry allow us to restore and repair vehicles easily. The process of removing dents requires expertise. 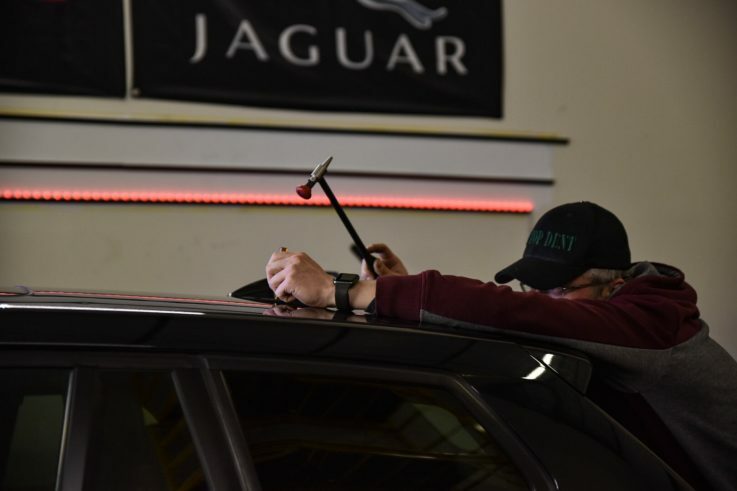 Cutting edge technology helps us to assess the impact of dent repair processes before we begin so we can help you make the best decision for your car. With Tip Top Auto Hail’s innovative equipment and technology, our highly trained technicians can repair damaged vehicles without putting holes on the exterior of your car. There is no need to feel upset when a hail storm dents your car. Your one-stop auto repair shop in Colorado Springs is here to help! Sit back and relax because Tip top Auto Hail is the answer for your hail dent removal needs. Extensive experience in removing hail damage from vehicles over the past years has given us the ability to streamline the Auto Hail Dent Removal process. Call our experts today at (303) 868 – 1270 and learn more about our top-of-the-line services. Looking for the Best Auto Hail Repair Shop in Denver? A hailstorm, by definition, is a storm of heavy hail. It consists of thousands and thousands of balls of ice that rain from above. It may just come out of nowhere without notice. Every drop of these hailstones can be extremely damaging, especially to our automobiles. We can expect dents, scratches, and cracks our vehicles when we get stuck in an unforgiving hailstorm. Since this natural phenomenon has become a common occurrence on the city of Denver, citizens are now finding ways to remedy the subsequent effects. Thus, auto hail and dent repairs have now become a common demand for vehicle owners in the city. You Wouldn’t Just Let Your Vehicle Look Damaged, Right? As mentioned, hailstorms can be a problem for vehicle owners caught in the middle of them. The after effects of this natural phenomenon can range from a simple small dent to devastating vehicular damage. If you do get hit by a storm, you would not want to drive around with a damaged, banged-up vehicle, right? It is in our best interest to take care of our precious vehicles’ appearance and well-being. How we take care of our cars can say a lot to other people around us. If others see you pulling up in a beaten-up car, of course, they might think you do not care about your vehicle. After all, we did not buy our cars cheap. That is why we should always do our very best to keep it in top condition, inside and out. Nowadays, there are now a lot of innovative and unconventional ways auto repair companies use to repair car damage. 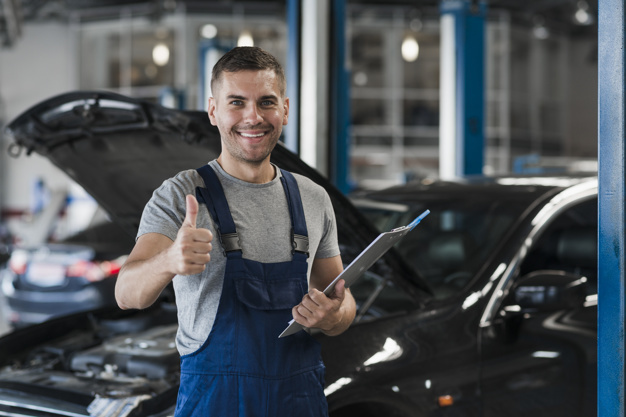 At Tip Top Auto Hail, we have dedicated years of practice to servicing your vehicles. Using cutting-edge techniques and conventional ones, our experts will not stop until you are satisfied. Whether it is your fault or not, it is inevitable for our cars to become dented. It does not matter how careful you are; other people and events can ultimately damage your car’s exterior. Paintless dent repair is a quick and economical solution to your repairing your car’s exterior flaws by restoring your vehicle’s original aesthetic condition. If you bring your car to us for repair but still have somewhere else to go, you may rent a car from us for free! While we restore your vehicle to its best condition, we are more than willing to lend you a helping hand to get to your desired location. But, of course, you must return the rental car in the same condition you borrowed it in as soon as you are done. Your car insurance coverage is there for a reason. When there is damage to your car, caused by hailstorms or not, it is in your best idea to know the different options for filing claims to your insurance company. Tip Top Auto Hail knows how this issue can be a drag, but still, dealing with your car insurance will be handled with the utmost care. Any decision made regarding your coverage is undoubtedly a big deal, which is why we are here and more than happy to help you with it. Take good care of your vehicles and keep them looking sharp and slick just as how it should be. Seeing a well-maintained car can make you feel good in some ways and without a doubt will be a pleasure to drive. Here at Tip Top Auto Hail, we completely assure you that the dents and damages on your car will be handled with utmost care by our experts. With our services like auto hail and dent repairs, the after-effects of a hailstorm will surely feel like they were not even there. You can check out our website or contact us at (303) 868-1270 to learn more about our services. How Important Are Dent Repair Services in the Greater Denver Area? Vehicles are expensive. We have shed blood, sweat, and tears so that we can afford them. It is everyone’s dream to have a vehicle of their own one day. That is why when we finally own one, we do our best to take care of it and keep it well maintained. However, no matter how careful we are, we cannot control everything. The time will inevitably come where our vehicles get damaged. Whether it be because of somebody else’s carelessness, an unfortunate accident, or an unavoidable natural weather phenomenon, we cannot foresee the damage that will occur to dent your car. That is why dent repair services have been highly sought out by car owners in places like Denver where storms often occur. Hailstorms are an example of these natural weather occurrences that can be extremely problematic for us and our vehicles. Because we cannot fully predict when or where it will occur, getting caught in the middle of one is inevitable. It may just be a matter of time, and we cannot do anything about it but endure. The after effects of a hailstorm can range from small scratches to multiple dents that can make your car look like a total mess. Seeing your precious, hard-earned dream car with a lot of exterior damages can be painful. Whether or not you are a car enthusiast, it is in your best interest to keep the cars that you drive every day in public looking as good as new. A well-maintained car can uplift us, while a dented car can provide us with grief. Like any other procedure, evaluating the problem and figuring out the things that should be done to fix it will always be the first step. Our expert technicians will take an intensive look at the damage to your car, the size of the dents, and much more. Then they will take the necessary steps to restore your vehicle to make it look brand new. Technicians usually need to access the back side of the dent to remove it. This means removing parts of your car, such as the tail lights and some body panels. In the worst cases, some interior panels might need to be removed as well. This process should be handled carefully, as a misstep can lead to more damage to the already banged up car. We have years of experience with this process, so you can trust us to handle it with utmost precision. We use advanced equipment for a closer inspection of the dents your car has. By doing so, various points of view will be seen, and we’ll discuss the best approach to tackle the problem. With our specialized tools, our technicians will be able to work on the damage more precisely. They will apply calculated pressure to the back of the exterior to restore the damaged parts to their original form. Seeing multiple dents on your car can be a depressing sight. You can count on us, Tip Top Auto Hail, the best auto hail repair shop in Denver, for dent repair services that will keep your vehicles in the best shape. If you need your car fixed and dents removed, you know where to go. To learn more about us, you can check out our site or contact us at (303) 868-1270. Storms come from the converging of unstable air, heat, and moisture in the atmosphere. They can come in different forms like gusty winds, heavy rains, and hailstorms. A hailstorm is one of the most damaging types of storm, with hailstones falling from the sky, often accompanied by heavy winds. Hail sizes range from pea-sized to golf ball sized— and sometimes they’re even bigger! Due to its high elevation and topography, the Denver area often experiences hailstorms. And, of course, people in Denver and its surrounding areas like Cherry Creek, Colorado get aggravated by hailstorms because of the damage they do to cars, houses, and even people. Hail can put holes in cars, shatter windows, and tear up roofing. Car owners pay a hefty amount to deal with the damage hail causes their vehicles. Tip Top Auto Hail Repair in Denver offers an innovative way for you to repair hail damage to your car. Why choose Tip Top Auto Hail? Dents and dings are repaired by drilling holes in the dents, then filling and repainting them. At Tip Top Auto Hail Repair, we don’t drill holes in your car or even repaint it. Using Paintless Dent Repair ensures a faster fix with minimal effort— but with a quality outcome. A team of specialists gradually flex the dent to make sure that it vanishes as if nothing happened. We serve quality service in less time than traditional hail repair. The Paintless Dent Repair ensures no painting and filling, so It will only take a day or two to fully repair your vehicle after we assess the damage. We at Tip Top Auto Hail offer quality service at an affordable price. If your car can be restored to its original condition without drilling and painting, we can do it. It’s inexpensive enough that it’s often cheaper than customers’ insurance deductibles. With 20 years of experience, we get the job done right the first time. Tip Top Auto Hail Repair is easy to find in South Denver, and we work with most insurance companies. We also offer free car rental and shuttle services. 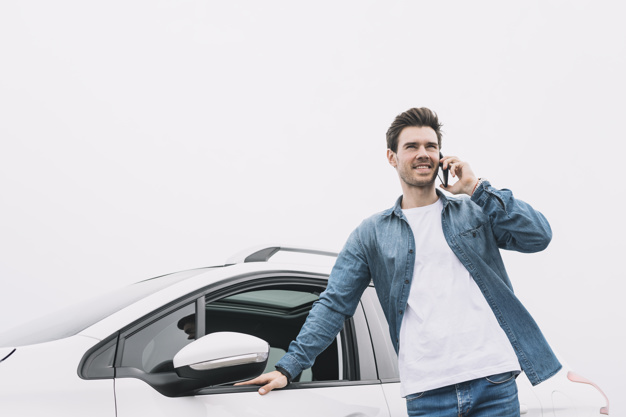 We know how nerve-racking it is to feel stuck when your car is in the shop, so we compensate by making sure you have transportation while you wait to get your vehicle back. Save yourself from expensive repairs by calling our technicians at (303) 868-1270. Cover your cars, a storm is brewing! The Denver Technological Center (DTC) area gets a lot of rain and LOTS of hailstorms. You have seen what a pebble can do when someone throws it to a window. How about marble-sized ice? Hail comes in different sizes, sometimes as big as golf balls. And it falls a lot farther than from across the street. This natural phenomenon is often encountered by people living and working near the Denver Tech Center in south Denver, Colorado. A hailstorm could ruin your car, dimpling the roof and hood or even shattering the windows. The next thing you know, your awesome car is now just A CAR with unappealing dimples and holes. It’s a good thing that there is an auto repair shop that repairs hail damage near Denver Tech. Tiptop Auto Hail Repair Shop provides makes sure your car is Denver-Tech-ready. With top of the line services and expertise, rest assured that those dents won’t be a problem for long. Hail in the Hole! Cover Me! Hail storms often put holes in your wallet as well as your roof. Tiptop Auto Hail Repair offers you great service with even greater deals. Removing dents by slowly stripping off paint and pushing the dents and dings inside out was once the mainstream in car repair. Introducing PDR: This is an innovative way to restore the beauty of your vehicle without the hassle of repainting and drilling. PDR, or Paintless Dent Repair, is a careful strategy in which the dents of your car are slowly and gradually flexed without the need for repainting the dings. Tiptop Auto Hail Repair works on repairing your vehicle with minimal stress on the car. Is it Pointless or Paintless? “This is pointless!” You say that to yourself when you see your car a wreck. Why not say paintless? We at TipTop Auto Hail Repair provide you with a gentler outlook (when we save you on that old-school dent repair bill). Going paintless means repairing your vehicle as it is: Your car doesn’t have to be filled, grinded, repainted and sealed. Paintless Dent Repair offered by Auto Hail Repair is the most cost-effective hail repair you’ll ever find around the DTC. Why Contact TipTop Auto Hail? With 20 years of experience working on all kinds of vehicles, we make sure that you get the service you need at an affordable price. Our lead technician, Kyle Cavanaugh, and his team of specialists offer you the best solution to dents and other hail damage. From banged up hoods to shattered windows, we at Tiptop Auto Hail Repair are confident that we can give the car you love all the care it needs. Get your vehicle in shape in one day by reaching us through our site or calling us at (303) 868-1270. Tip Top Dent Repair is now Tip Top Auto Hail, Denver! It is our utmost pleasure to inform you that Tip Top Dent Repair is now Tip Top Auto Hail, Denver! Known for being one of the best dent repair providers in Colorado, our company has been delivering upscale services to our beloved customers. Thus, the years of practicing the coalescence of advanced equipment and modern skills of our professionals have helped us acquire the trust of our loyal clients. Although our company’s pride already lies in its premium quality of service, we never stop aiming to improve our brand for customers’ delight and satisfaction. With a massive pool of restoration options, it can be quite overwhelming to choose what works best for you. That’s why here at Tip Top Auto Hail, we created a solution that has maximum benefits for the majority of car owners. Modern days require modern methods to deal with your car issues! With its advanced distinction with traditional dent repair, the paintless dent repair has been a top choice of vehicle owners who want to restore their cars the most cost-effective way. This method’s objective is to bring back the pristine condition of your car in an environmental-friendly manner. By availing this dent repair service, you can guarantee that the exterior of your car has no signs of acquired hail damage. Through the careful and arduous procedure, we guarantee that the number of your car dents is not guesswork. Your insurance adjuster gets the exact information with regards to how many dents there are. We pass through every single part of your vehicle to safeguard the observance and proper handling of each dent. Through the acquisition of professional skills, our technicians have created wonders with the dented cars as their canvas. These experts are proficient with the modern repair technologies. It is required to bring back the pristine condition of your car. Besides, they have mastered the proper utilization of advanced equipment to maximize its benefits. Having only the best tools in our shop, we can guarantee that your car gets back to you in its pre-storm condition. Overall, we ensure that our customers are satisfied with the quality of our restoration output. We want what’s best for our clients; thus, we only hire the best auto hail repair experts to be a part of our world-class team. Through the meticulous skill search, we have acquired the most experienced dent removal techs that have developed their abilities by working for huge car manufacturers that repairs damaged vehicles. By entrusting your dented car in Tip Top Auto Hail, you can guarantee that you have made the right choice. Tip Top Dent Repair is now Tip Top Auto Hail, Denver! Keep in touch with us and let’s talk about the best way to deal with your car dents. Hail storms that create extreme or medium damages to a massive pool of vehicles often visited Colorado. It has been a cause of stress for drivers who want to maintain the pristine condition of their cars. However, owing to its natural background, this weather condition doesn’t have any harsh effects on the vehicle’s paint finish. Therefore, service in Colorado such as auto hail repair, 80222 is there to target the specific issues that come with hail storm damage. Several companies offer cutting-edge AHR technologies that you can trust in resolving your car concerns. Nonetheless, there are also auto dent repair scams that exist to take advantage of car owners’ concerns. Another term used when about auto dent repair scams is Dent Gypsies. They are often on the lookout for dented cars which they offer to restore on the spot. Auto hail repair scams are typically carried out by individuals who are unconventionally roaming around parking lots to target their prospects. Fortunately, the warning signs listed in this article can identify scammers easier. Without further ado, here are the things you should be cautious when dealing with prospective auto hail service. With advanced equipment and competent team of professional technicians, auto hail repair can be done efficiently. However, it can’t be as quick as those that are promised by auto dent repair scams. Meticulous restoration takes time, and it is carried out in a shop unlike the on-the-spot treatment of scammers. Scams generally run as a mobile business that doesn’t have solid business setting to show off. Be wary of working with these individuals because they have no intentions of adequately restoring the pristine condition of your vehicle. If someone who claims to have the ability to repair your car doesn’t have any business cards to show, walk away and move on. If, however, there is a card, inspect the numbers that displayed on it. Check if the contact number indicated belongs to the state of Colorado. To better guarantee its legitimacy, call the number and ask the responding staff about their business ID and location. An authentic auto hail removal provider should consider taking your insurance. 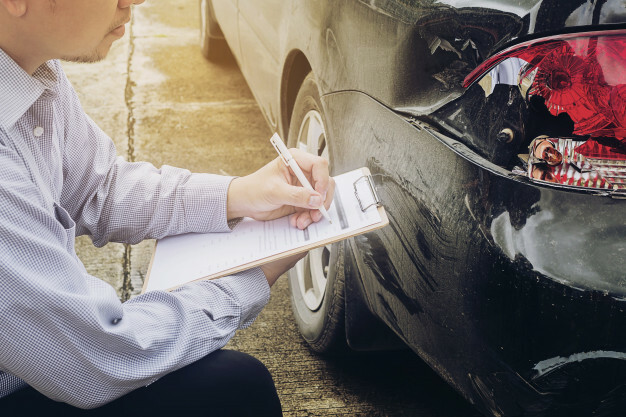 Auto dent removal companies typically include insurance in their systems to improve the quality of their customer service. 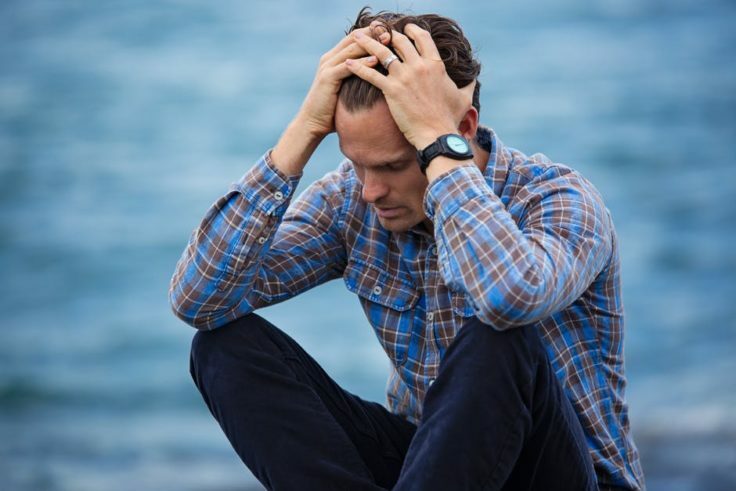 If someone who claims to be a legitimate dent repair provider only considers cash as payment, it’s surely time to consider other company options. Fortunately, there are still several service-providers that have the best interest of their clients. For instance, Tip Top Auto Hail is one of the best auto hail repair, 80222. We utilize the power of cutting-edge equipment. Thus, the advanced skills of our professional technicians can restore your car most efficiently. Unlike the traditional repair practices of other shops, the auto hail repair service is carried out through arduous technology that saves your time and money. Deal with your car dents today and keep in touch with us to receive your quotation. Hail falls in pellets of frozen raindrops which occur during intense thunderstorms where snow and rain coexist. Hailstorms frequent this region known as the hail alley. This generally lies along the states of Colorado, Kansas, Nebraska, Texas, and Wyoming. These states might be the most affected ones, but hailstorms could happen almost everywhere thunderstorms occur. The May 2016 National Insurance Crime Bureau reports that Colorado holds the record of being the second highest in the number of hail claims in the United States from 2013-2105, with Texas at the first spot. Overall, those states on the top 10 already consist 66 percent of the total number of hail claims within the timeframe. Among the loss claims from 2013-2015, the “Personal Property Homeowners” was the policy type that is affected the most. Placing second to that is the “Personal Automobile” policy type. Usually, hail may come across as something as familiar as rain, but it actually does more damage and is more dangerous. These pellets of frozen raindrops can actually shatter windows, leave dents in surfaces and even ruin roof coverings. Mid-April to mid-September is considered to be Colorado’s most damaging hail season. It’s very own Front Range lies in the heart of the said “Hail Alley”. This suffers as victims in the highest frequency of large hail not only in North America but to most of the world. Just in the past 10 years, hailstorm damage had already cost more than $3 billion in insured damage in Colorado alone. Because of this, almost half of a homeowner’s insurance may be spiraling towards hail damage costs. A specific hailstorm in Colorado Springs dated July 28, 2016, is among those who acquired the most costly hail storms, with an estimated worth of $352.8 million. Recently, southwest Colorado Springs and Fountain have seen a hailstorm showering hail up to the size of a softball. It caused $172.8 million worth of damage on vehicles, roofs, siding, windows, and other parts of houses. Hailstorm is and always be inevitable not only in Colorado Springs but all over the world. Its occurrence may be beyond anyone’s control. However, it does not mean that there is also nothing that can be done with all the damage that it can cause. Being financially prepared beforehand could be a good start, but having all properties enrolled in insurance can be useful, too. Because hailstorms are common in these places, hailstorm damages are also standard when it comes to insurance bundles and policies. However, there are still limits to what insurance can cover. Cars are not invincible to these frozen pellets of raindrops. As a matter of fact, hail can cause a variety of damages. It includes dents that can make your car look like it stole the craters of the moon. If you can’t save your car from the thrashes of this natural phenomenon, we can fix it up back to its former glory just for you. The traditional way of removing dents on cars by drilling holes into the dented area to put it back to its original shape is already old news. Repainting over it is the finishing touch, but it often leaves a mark revealing that your car has undergone repair. Tip Top Auto Hail in Colorado Springs can deliver an expert’s job for a worthy value. Get connections with a team of certified technicians and gain access to the industry’s leading technologies and advanced equipment. Sit back and relax. Tip Top Auto Hail take care of your car’s repair and maintenance services as we treat it like our own. 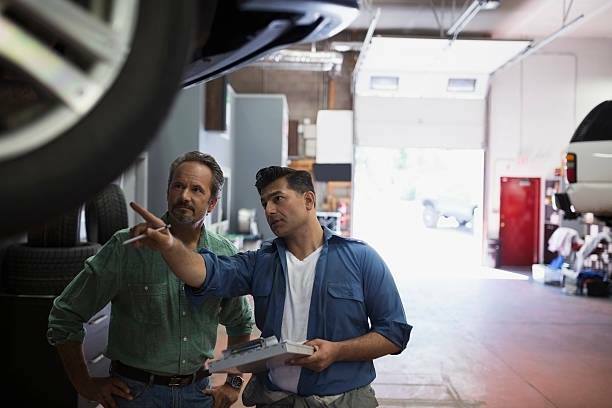 Connect with Tip Top Auto Hail’s experts today and you won’t have to worry about your car anymore. 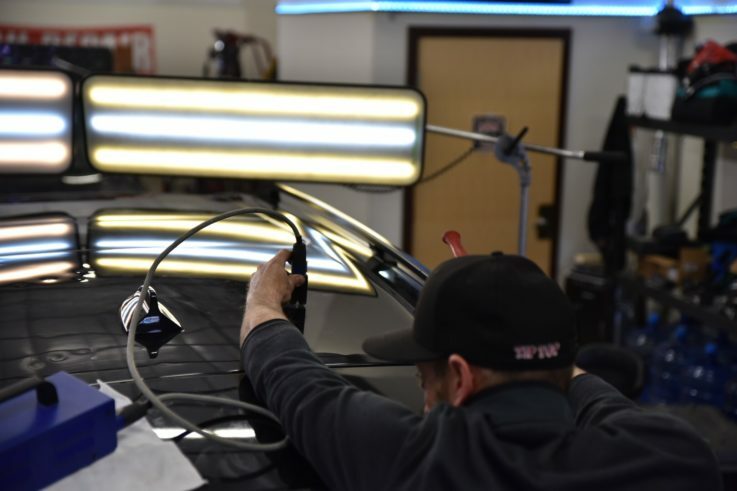 If you’re a car enthusiast who happens to live in Denver, Colorado, then perhaps paintless dent repair or PDR does not need further introduction. In the whole country, Colorado gets the most severe hailstorms because of its elevation. According to Storm Prediction Center in the state, every year, the stretch from Denver to Colorado Springs suffer from an average of 13 hailstorms. The sad part is, most of this natural phenomena are damaging. And for owners who treat their vehicles as one of their most prized possession, this statistic is nowhere good news. But while it’s true that you can’t do anything to prevent the hailstorm, at least you can do something to lessen the damage. What can you do when precautions fail? Most people in Denver are aware that their place had always been a hail alley. For the last five years, the booming population suffered more battered rooftops and more dinged cars. More and more citizen begin to feel the effects of the wrecking havoc in their lives and insurance rates. Some decide to take precautions by checking out the reports of trained spotters or by heeding their warnings. However, not all can save themselves from the upcoming hailstorms. Most of them find themselves wondering how much money they will need to restore their properties. Most of the time, it’s the cars that badly needs attention. Fortunately, there is a new method of auto hail repair that is both timewise and budget-friendly. Paintless dent repair is more popularly known as the “PDR” method. It is a method that is fast gaining notoriety for car owners. It is not only known in Denver but in the whole country. Oskar Flaig invented it in February of 1960 during the “International Motor Sports Show” held in New York City, USA. He worked as a Mercedes staff and tasked to paint all the cars on display during trade fairs. Seeing that some of them have noticeable dents and he was out of time, he used a hammer to push out dents. Then, he applied a little bit of filler and paint. Seeing the results, he decided to improve the method in the years that came and the rest is history. Today, this innovative discovery can be enjoyed by the citizens of Denver. At a fraction of a price, you can say goodbye to the dents and dings of your cars without having the need to wait for a week or more. Tip Top Auto Hail is one of the trusted auto repair shops in the area. Over the years, we have mastered the art of doing paintless dent repair for car owners. When it comes to treating dents and dings caused by hail, the paintless dent repair method proves to be more beneficial compared to any other conventional body shop methods. The expert technicians at Tip Top Auto hail believe that a car with dents doesn’t need to be grinded and filled with Bondo, primers, and sealers. Using PDR, we make sure that the original paint is reserved. This is to ensure that there would be no problems of mismatched colors after the process. In addition, PDR is more cost-effective than conventional repair. It is because there is less time required to fix the dents and there is no need to utilize expensive materials. Tip Top Auto Hail has been serving Denver residents for more than 20 years. They perfected the art of dent repair. We provide affordable services that conventional auto repair shops don’t have. Since we have mastered the art of performing paintless dent repair, most of our works take only a day, a two at most. If you can’t afford to have dents in your car and at the same time you always need to use your vehicle, come to us and we will save you from the headaches brought by hailstorms.